It's all mixed up. Retailers are selling products under their own brand names and manufacturers are selling their own service contracts. Bankruptcies have exposed how precarious product warranties can be, while insurance has demonstrated how extended warranties can survive even a liquidation. Perhaps it's time for OEMs to think about partnering with administrators and insurance companies? It used to be so easy to tell the difference between manufacturers and retailers. Now they're sometimes part of the same parent company. It also used to be so easy to tell the difference between a product warranty and an extended warranty. One was issued for free to the buyer by the manufacturer and the other was priced and sold separately by the retailer to the customer. It's not so simple any more. Companies such as N.E.W. Customer Service Companies Inc. (a sponsor of this newsletter), which made their reputations administering service contracts for retailers, are now interested in providing services to manufacturers that want to sell their own extended warranties. And through key recent acquisitions, they've also become one of the focal points for plain old dispatch and repair services that appeal to both manufacturers and retailers alike. Meanwhile, N.E.W. 's insurance underwriter, the Warranty Division of AIU Holdings Inc., is happy to be working with top retailers such as Wal-Mart Stores and Best Buy Inc. But it also wants to work with manufacturers selling service contracts, and possibly, with manufacturers that are interested in using insurance as a way to give their plain old product warranties that extra measure of credibility. It's not like it used to be. The consumer advocates used to advise people to buy quality products that would last a lifetime and to skip the extended warranties. But they never considered the lifespan of the manufacturer, or what would happen to that guarantee if the manufacturer went out of business. These days, that's not much of an issue with extended warranties, because typically the retailers are working with administrators and insurance underwriters that will still be there long after the liquidation sales are over. So in the future, will the services provided by these same administrators and underwriters have more of an appeal to manufacturers? Michael Costanza, a senior director at N.E.W. tasked with overseeing the OEM channel, said he thinks his company has a substantial role to play in the OEM channel. "As a matter of fact," Costanza said, "we play a large role today." Costanza noted that N.E.W. has built up an expertise from a service perspective for virtually every kind of product in the brown and white goods industries, through both its service contract administration activities and through the networking and data processing services of ServiceBench (an early 2008 acquisition). Basically, it knows how to work with manufacturers because it already works with many of the people who repair those manufacturers' products. "Historically, our focus has been on the retail segment," Costanza noted. "But with the acquisition of ServiceBench, and with the broad client base we now have on the OEM side, it's driving us to other geographies -- Asia, as an example. And we're seeing more importers of products who don't have the infrastructure here in North America, who are looking for services like ours." Current clients include Sharp Electronics, LG Corp., Samsung, Sony, Panasonic, Toshiba, the numerous brands of Electrolux, Whirlpool, Goodman Global, Viking Range Corp., Sub-Zero and Wolf Appliance, Harman International, the Haier Group, Mitsubishi, IBM, and Horizon Fitness, among others. Louis Rose, vice president of ServiceBench operations at N.E.W., said there are also a few OEM clients in the mix that are engaged in the manufacture of commercial food handling equipment, point-of-sale terminals, heavy industrial equipment, and outdoor power equipment. But, as the list above suggests, most of the clients are in brown and white goods. Costanza said N.E.W. is also supporting Dell's "Solutions Stations," which opened as a pilot program last summer within select Wal-Mart Stores locations in the Dallas area. These outlets provide HDTV and home theater installation, computer repair services, wireless upgrades, and consultation services in support of the "digital lifestyle infrastructure" these customers are acquiring. "ServiceBench is the back end of that entire program," Costanza said. Rose said that through the ServiceBench operation, N.E.W. provides delivery and installation services, helps with the sales and marketing of service contracts, arranges to dispatch repair people for housecalls, manages claims, parts ordering, recycling, and data analytics. In terms of geography, N.E.W. performs these services for clients across North and South America as well as in Europe, and is now opening up new opportunities in Asia. Even before the acquisition, ServiceBench was providing some of these same services to N.E.W. the service contract administrator, as well as to some of its retail clients. And it was also providing product warranty processing services to some of the major manufacturers. So what's the main difference between an OEM and a retailer? Rose said that from an operational standpoint it's quite similar. The differences are mainly in the details, he said. "For an OEM, it's the standard warranty processing, looking at service delivery, and the metrics around those," he said. And then there are retailers such as Lowe's, Best Buy, and Sears Holdings, which have their own service networks and which not only sell the products but also repair them. "What we're doing there is analyzing all the services they're performing on a daily basis, and identifying the obligor who's obligated to pay for that service -- which OEM, which warranty provider." Rose said that many repair service providers want to use their own software and link it to ServiceBench's network. But that doesn't vary as much based on whether the client is an OEM or a retailer as it does based on the industry they're in and the way service for a given product is typically delivered to the end user customer. For instance, one wouldn't expect housecalls for portable audio equipment repairs, and one wouldn't expect the consumer to ship a broken refrigerator back to the manufacturer. But housecalls may be expected with large wall-mounted flat screens and/or with certain computer repairs, especially if they're specified in a service contract or warranty. Then again, some computer manufacturers now think nothing of shipping a part to a customer and teaching them how to self-repair. That type of service delivery is virtually unheard of in passenger cars, as are housecalls. And then there are the manufacturers that administer their own product warranties and sell their own service contracts, whose product lines are so diverse that different divisions have numerous options for on-site, drop-off, mail-away, customer self-repair, and even next-day replacement. The mode of service delivery depends on customer expectations, not to mention what service level the customer is willing to pay for and what costs the provider is willing to assume. Suffice it to say that within a single industry there is no such thing as a single way to provide service to a customer. Even within a single company, there are frequently multiple ways to deliver repair services to customers under warranty, under extended warranty, or on a customer-pays basis. And ServiceBench needs to interface with them all. "Our software still enables each of those to talk to us equally," Rose said. "From our perspective, the forms are the same. The back-end processing is the same. We're an ASP. That's how we do everything." For both OEMs and retailers, one of the big values of aligning with ServiceBench, Rose suggested, is the increased visibility they gain into the frequency and severity of their product failures. In most cases, the quality of the data itself is a lot better than what they had before, making it easier to generate reports and spot trends. "All the data is accessible on ServiceBench," he said. "We have analytics tools to give them failure analysis as well as service network performance analysis. And consumer feedback is tied into that as well, because we do surveys on their behalf." ServiceBench even provides some fraud detection services to its clients. Costanza said the big differences arise more frequently at the strategic level. What is the client's priority? Basically, the retailer wants the consumer to keep coming back to their location for everything they need, while the OEM wants consumers to buy the same brand wherever they shop. The OEM is focused on the brand in multiple channels while the retailer is focused on the customer buying multiple brands. The OEM might even want to sell direct -- if not upgrades or replacements, then certainly accessories, supplies and consumables. "Both entities are looking to generate incremental and profitable revenue," Costanza said. "Both entities are very interested in the end user experience, and what those requirements are. And both are interested in differentiating themselves within the channel. But the OEM is much more brand focused, in trying to extend the consumer touch points," he added. And then there are occasions, such as with Sears and its Kenmore brand, where the N.E.W. client is both the retailer and the OEM. In cases like that, Sears has an interest in maintaining its connection to the customer not only to keep them happy with the brand, but also to make sure they return to Sears for their other shopping needs. In such a case, Sears is going to want to help the customer obtain repairs whether the product is in or out of warranty, and whether a service contract was purchased or not. But no matter where it's bought, Costanza said, "we want to help the OEM deliver it, install it, troubleshoot it, and to provide technical assistance through our call center operations. We want to help the OEM market and sell extended service contracts. And at the end of the day, through our ecoNEW trade-in and recycling program, we want to help the consumer dispose of the product in an eco-friendly manner, and then drive that consumer back into the brand." Recycling, Costanza said, has a particular appeal to OEMs, though it also appeals to retailers. For instance, he said N.E.W. is now putting together an ecoNEW recycling offer for Sony Style Stores, at both their physical storefronts and online, which will allow customers to trade in their old products for new units. "Again, driving them back into the brand," he said. Rose said the typical OEM client will find they can operate more efficiently with fewer people, or with people shifted from operating the process to analyzing the process. "It allows them to get more insight, and to retask these people to taking care of all the loss that was out there," he said. "So they now have people retasked to look at fraud, where before they were just too busy operating day to day." Cost, however, is not usually the top reason OEMs sign up for services, Costanza said. "They come to us and we go to them because there's a requirement that either they're not fulfilling, they haven't addressed in the past, or it's not functioning properly," he said. "There's a value proposition embedded in this that's immediately evident to the OEM. Cost is the last part of the equation." While N.E.W. wants to grow from its base as a service provider to retailers of brown and white goods to include more manufacturers, and while N.E.W. wants to add more industries and more geographies, Costanza said there's still little interest within the company when it comes to jumping into the automotive market. "It's very different," Costanza said. N.E.W. has been focused on consumer electronics and computers and ServiceBench has been focused on appliances. Neither has ever been focused on automotive. "We haven't thought to penetrate that market for a variety of reasons. It's just not on our radar screens." Considering that passenger cars and trucks comprise perhaps half the total cash flow for product warranty claims and more than a third of the market for service contracts, that's a lot of money to leave on the table. And considering that this week's big news in manufacturing is the bankruptcy of General Motors, it's hard to deny that the companies most in need of increased efficiency are in the automotive business. But still, N.E.W. doesn't see a role to play. Neither does its underwriter. When N.E.W. assists retailers such as Wal-Mart and Best Buy with the sale and management of service contracts, typically it works with an underwriter such as the Warranty Division of AIU Holdings Inc., the insurance company formerly known as AIG. Matthew Frankel, president of AIU's Warranty Division, said he also has no interest in getting into the automotive warranty or service contract business. He does, however, have a strong interest in working with manufacturers of brown and white goods. "We underwrite some manufacturers today, through either direct relationships or relationships with some third party administrators," Frankel said. "So we do extended service contracts now for companies such as Toshiba in Canada, Sharp, and Panasonic, just to name a few." Then there are a few manufacturers that also want AIU to assume the risks and liabilities involved in product warranties. "Through an insurance product," Frankel said, "we can take over the liability of the manufacturer's warranty -- actually taking the liability off the books of an OEM and putting it on ours." It's not too common yet, but Frankel said he thinks it's going to become more common in the near future. And some of these recent manufacturer's bankruptcies are exposing one of the primary drivers for doing so: retailers and service contract providers have done a much better job of providing for continuity in the event of bankruptcy than have manufacturers and product warranty issuers. "Particularly now, where you have seen some retailers that have gone out," Frankel said, the system works, because there are usually administrators and insurance carriers standing behind those retailers. In contrast, there are now some manufacturers whose existence in a couple of years is an open question, as is the validity of their product warranties. Not every manufacturer gets the federal government to guarantee their product warranties. It sounds to him like the unstable situation prevailing in the service contract business back in the 1980s, when many retailers preferred to remain self-insured (or uninsured), and when there were few laws or accounting regulations regarding the recognition of service contract revenue or the proper way to reserve against future risks. "Pieces of paper were sold with no backing," he said, and when the sellers went out of business, those pieces of paper had no value. "That's why companies like ours got into the business. Standards were set. Financial guarantees were upheld. And that guarantee had value. Every one of those retailers' contracts is backed by an insurance policy, which means that every customer will be handled." And before you the reader tries to make a snide remark about the American International Group or Government Motors, Frankel says he has heard them all before. And he wants everyone to know that whatever AIG the parent company or AIG Financial Products the subsidiary did or did not do last year, AIU the insurance company is still very healthy. "You have to accentuate the portion of the company that you're proud of," Frankel said. "And that portion is the insurance side of the business." AIU Holdings, in fact, was created and renamed specifically to house all of those financially stable insurance businesses that are going to continue in one form or another after AIG Financial Products is wound down and the credit default swap crisis is over. And ironically, AIU Holdings had a pretty good year in 2008, Frankel said. For instance, he said, AIU Holdings was one of the few insurance companies to expand its surplus in the fourth quarter of last year. Net earned premiums rose and incurred claims fell. The insurance company's policyholder statutory surplus has grown by 47% over the past four years. But of course all that good news from the insurance side of the house was dwarfed by the massive government bailout that went to other parts of the company. "Granted, 2008 was not an easy year for our parent, the marketplace in general, or for insurance companies," he said. "Yet our business was strong. We did not lose -- we being the Warranty Division -- did not lose one piece of business because of what happened to the parent." Some of those business relationships go back to 1995, and they continue to remain stable despite the very public turmoil of the parent. Frankel said he thinks the AIU Warranty Division is already the dominant player in the retail side of the brown and white goods segment of the extended warranty industry. "Do we want to grow that business? Absolutely. Do we want to keep our share? Absolutely." However, he's also looking at other industries as new opportunities for underwriting, not to mention other partners such as manufacturers. He's also looking at the underwriting of service contracts for commercial products that aren't typically sold by retailers, and aren't typically bought by consumers. And, of course he's looking at product warranties as an opportunity for underwriting services. "Opportunities abound in the warranty world right now," he said. U.S. Treasury adds $361 million to its Warranty Support Program. General Motors and United Auto Workers modify GM-UAW 2007 National Labor Agreement. OEM Warranty Risk Inc. to provide warranty services to East Coast LED. Product warranty remains even if retailer goes away. Pacific Guard Warranty LLC says it has not violated federal telemarketing laws. Apple extends old MacBook Pro graphics warranty to three years. Bankrupt homebuilder McStain Enterprises may no loger service its new home warranties. Judge approves motion in Visteon bankruptcy to pay $13 million in warranty obligations. Ohio attorney general told Lemon Laws will not be disregarded in Chrysler reorganization. Texas attorney general charges Conn's with unlawfully failing to honor warranty agreements. Visteon Corp. files for Chapter 11 reorganization in Delaware bankruptcy court. 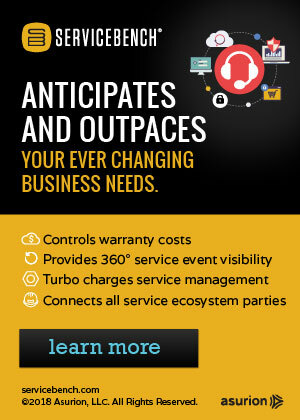 Endeca Technologies Inc. launches the Endeca Manufacturing Suite, including Warranty Analysis. Homeserve buys French appliance warranty provider SFG for £24 million. Buyers Protection Group Inc. to acquire LandAmerica Home Warranty Co.
Home Warranty of America sees 6% growth in the first quarter. Metaldyne files for Chapter 11 bankruptcy protection in New York. Systemax relaunches CircuitCity.com as a Web-only electronics retailer. Ohio state legislators propose House Bill 124, requiring 21-day puppy warranties. Experts differ on the appeal of extended warranties on consumer goods. Warrantech to administer extended warranties for Warranty Feed dealers and online merchants. McCusker & Company launches a new contract and claims management solution. Customer complains after bankrupt retailer's liquidator assured her the warranty was good. Woman charged with stealing employer's identity to do warranty work for GE Appliances. Sears Canada selects Service Net to manage and administer replacement plan service contracts.